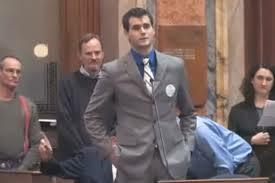 (Community Matters) Scouts for Equality, is a grassroots initiative organized by Zach Wahls, that wonderful son of two lesbian moms who became a YouTube hero. He’s hired our friends Mitch Stewart & Jeremy Byrd (who ran the President’s battleground states campaigns and have launched Battleground Texas) and Jamie Citron (who ran the President’s LGBT outreach) to organize and reach out to the 1,400 local and regional council representatives from across the country who’ll convene in Irvine, TX on May 23 to vote on a resolution to end discrimination against gay youth in the Boy Scouts. And, though today’s news is disappointing, that the resolution being proposed will end discrimination against gay youth but not against gay adult volunteers, we can’t afford to lose the vote, which would further deny gay youth the right to participate. They are going to fight to ensure the measure passes while also protesting its shortcomings and moving forward to reverse the remaining discrimination. I don’t think it’s a sustainable compromise since gay youth will graduate into leadership. Steven and I have agreed to donate to help fund this final push. We’re hoping our friends will consider doing so too. Like all of you, our cup runneth over with wonderful opportunities to give to good causes. And, yet, we’re so close to the end on this one. A remarkable young straight son of two lesbian moms has launched this initiative, and he’s been smart enough to hire the very best in the country to get us over the line. We can’t not give to Scouts for Equality. Hope you feel the same way. You can donate here.